Blade technology was wide spread in many places throughout the world and has a long lived history. However, it never really flourished in North America. 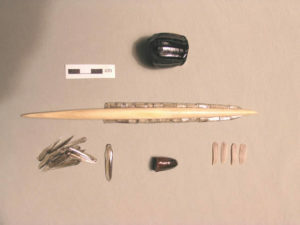 Obsidian micro pressure blades inserted into Caribou antler foreshaft. This replication project was commissioned and funded by Glacier Bay National Park, Alaska. 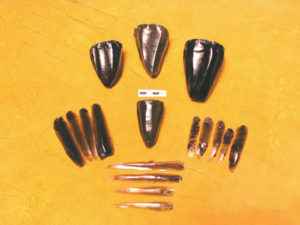 Obsidian conical blade cores and blades: Blades were removed using indirect percussion. 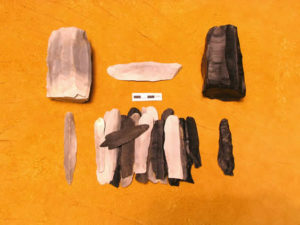 Flint uniface block cores & blades: Blades were removed using indirect percussion.